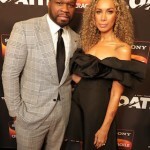 The stars were out for Sony Crackle’s “The Oath” season two exclusive screening event presented by Lexus at Paloma Hollywood. 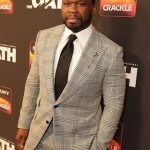 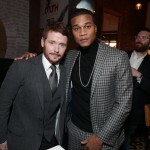 In attendance were executive producers Curtis “50 Cent” Jackson and Joe Halpin (also creator/writer), and series stars Kevin Connolly (also a director), Ryan Kwanten (also a producer), Leona Lewis, Elisabeth Röhm, Cory Hardrict, Katrina Law, J.J. Soria, Zulay Henao, Andrew Howard, Michael Malarkey, Dilshad Vadsaria, Isaac Keys, Richard Burgi, Sebastián Zurita, Carlos Sanz, Braulio Castillo, Rich Paul and J. Anthony Pena, as well as directors Jeff T. Thomas (also co-executive producer) and executive producers Dennis Kim, Todd Hoffman and Anne Clements. 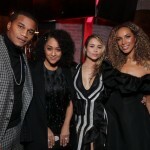 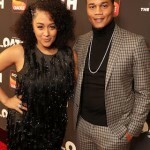 Cory Hardrict’s wife, Tia Mowry, also came out to celebrate. 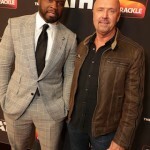 “The Oath” season can be seen on Sony Crackle.